60 State Street fronts State Street on one side and Faneuil Hall on the other. Quincy Market is also next door to the building. Other nearby attractions include the Old State House, Curley Park, and Holocaust Memorial. The waterfront is just east of the garage, on the other side of the Marketplace. 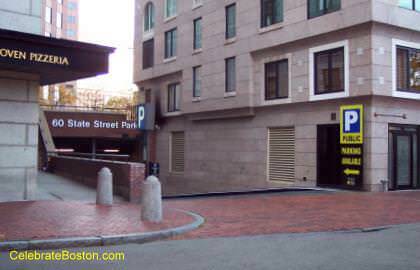 To access 60 State Street Garage, one has to take a right from State Street before the building at either Chatham Street or Merchants Row. Rates effective February 2010 and subject to change.